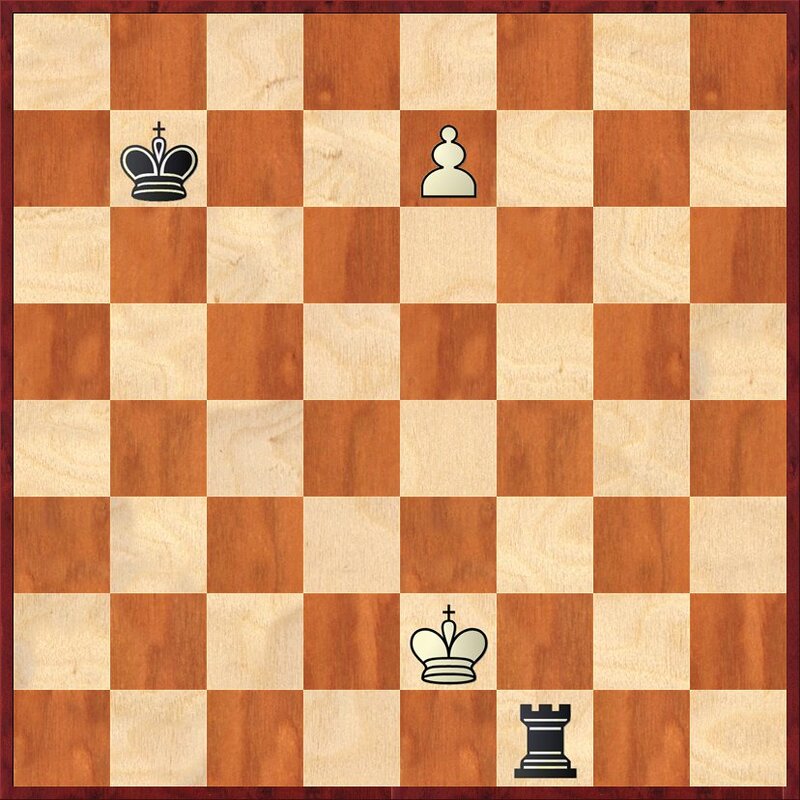 With the wrong RP, White’s hopes centre exclusively on promoting his e-pawn, whilst Black needs only to give up his rook for the e-pawn, in order to draw. 1. Be3+ Kb7 2. e7 Rxa3! Now Black threatens both 3…Rxe3+ and 3…Ra8. There is only way way to prevent both moves. 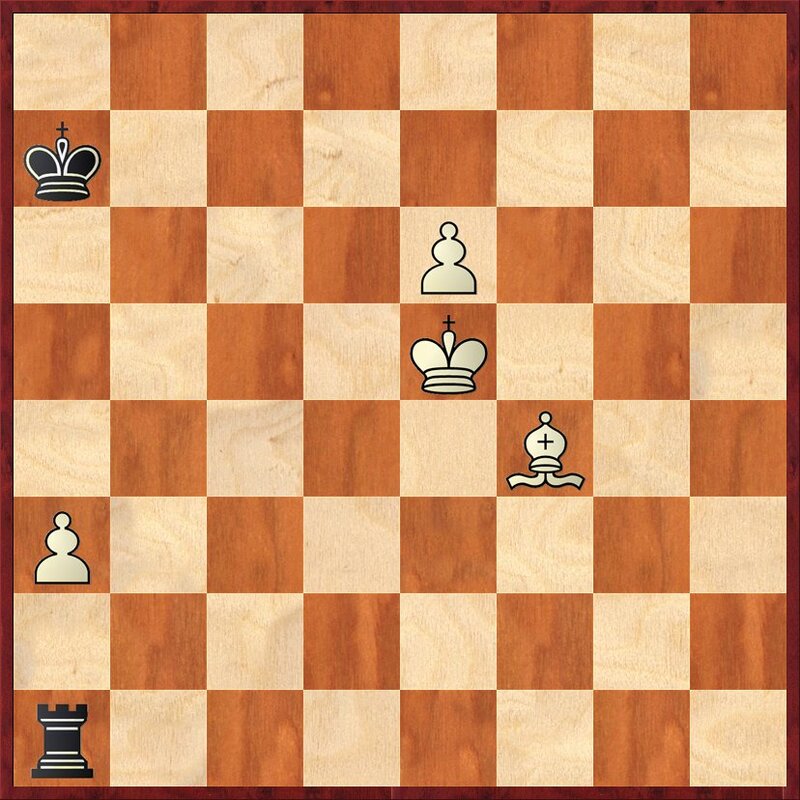 Now after 3…Kxa7, White wins by 4.Kf4 Ra4+ 5.Kf5 Ra5+ 6.Kf6 Ra6+ 7.Kf7. 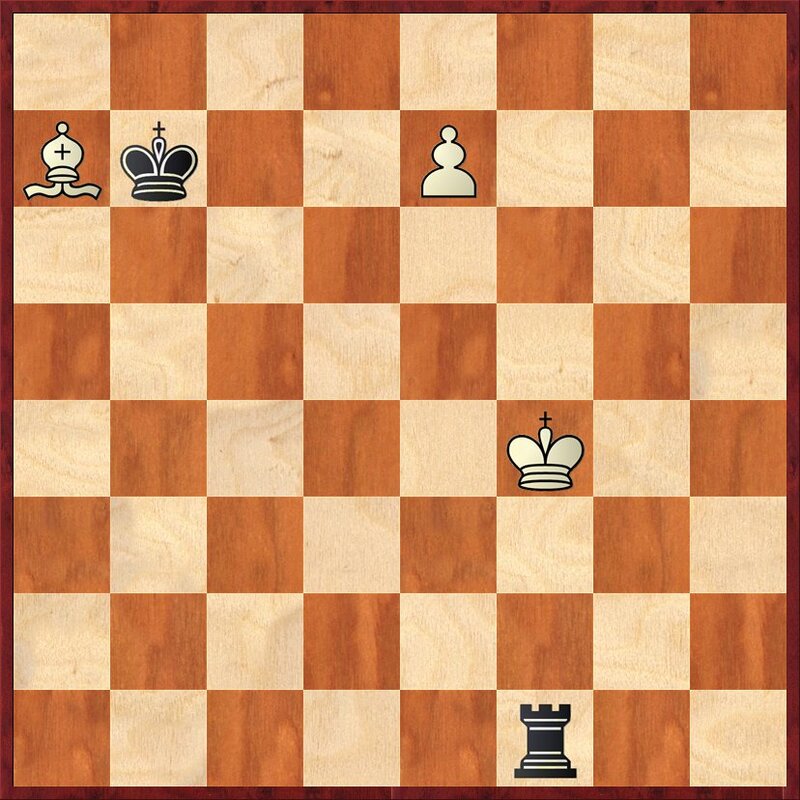 He can also win by 4.Kd4, with the analogous idea 4…Ra4+ 5.Kd5, etc, but not 4.Ke4? Ra1! when Black draws. Even after the text, however, Black has a few more shots in his locker. Once again, not 4.Ke4? Kxa7 drawing. 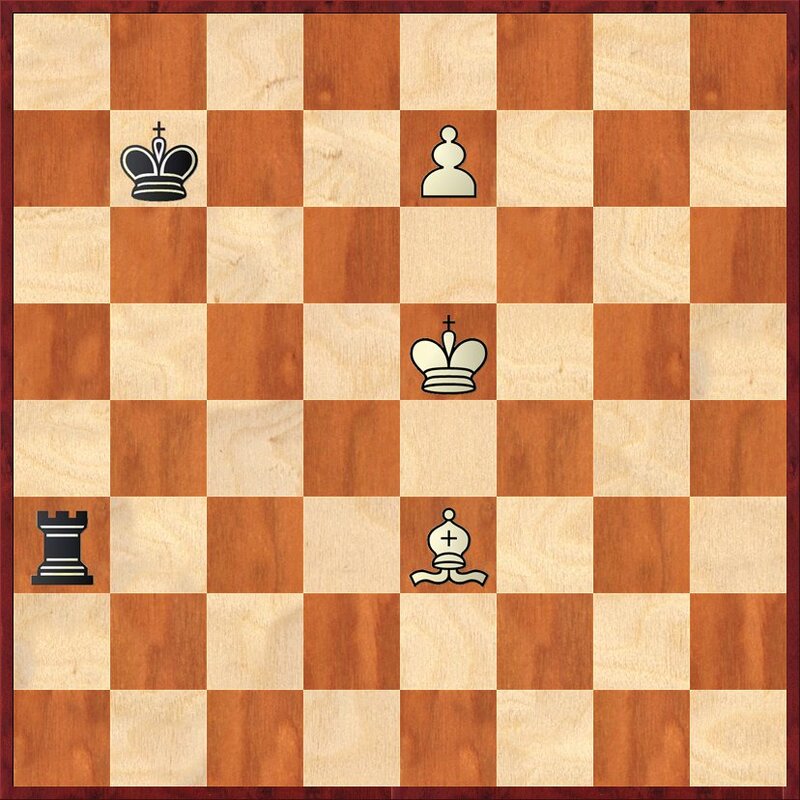 The text prepares to meet 4…Re1 with 5.Be3 winning. A beautiful echo of move three. A beautifully elegant miniature by the strong Latvian OTB master and study composer, who extracts a great deal of content from just six pieces.